In 2018 the ERBID Company will invest £569,325 in coordinated professional Destination Marketing activity aligning to the ERBID Business Plan. This money comes from the Levy collected from the 1045 eligible partners and supplemented through additional income generating activity, undertaken by the ERBID Company. Will include the transmission of two new 30 second TV commercials targeting new and lapsed visitors in the over 55’s and under 35 age groups. Two age groups that are free to travel outside of the main summer school holidays. 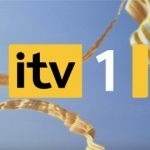 The over 55’s commercial will be placed round ‘hero’ programmes on ITV1, the main broadcasting channel and is estimated to reach 3.5 million adults. ‘Corky’ the dog features in the over 55’s advert with the objective being to promote the English Riviera as a ‘Dog Friendly’ destination and a great location for coastal walking. The second advert will actively target the under 35’s regionally via ITV Hub and is estimated to reach 250,000 under 35’s. A fixed high-profile spot on ITV Westcountry to enable ERBID Businesses to see the over 55’s commercial in situ. 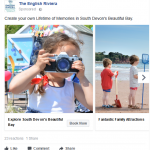 The two adverts ‘call to action’ is to visit www.englishriviera.co.uk and the success of the ITV campaign will be monitored by the number visits to the web site. 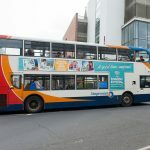 This Regional Campaign, will target Day Visitors living within an approximate drivetime of one hour from the English Riviera including Plymouth, Taunton, Exeter, Crediton and Honiton. The campaign will include a mix of integrated online and offline marketing and social channels including advertising on Heart Radio, Bus Side posters and supporting targeted digital activity via: Facebook, Instagram, Gmail and Google Display. The ‘call to action’ will be to visit www.englishriviera.co.uk. 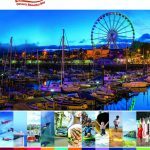 During the 2016 Regional Day Visitor Campaign 15 million digital impressions, delivering 99,424 click throughs to the English Riviera website, representing a 700% increase in traffic from Social Media Channels compared to 2016. 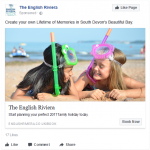 With a key objective of the ERBID being to increase occupancy and footfall in the Shoulder Seasons, the ERBID Company will continue to invest in ‘Last Minute’ Seasonal Digital Campaigns specifically targeting the over 55’s and under 35’s driving engagement with the English Riviera Brand using Facebook, Instagram, Google Display, Paid Search, Gmail and Display Remarketing. Specific target areas will be: Bristol, Bath, Gloucestershire, Newport and Swindon areas, with the focus to visit the English Riviera website and to book a Short Break. Plans to feature ‘Corky’ and to deliver ‘Dog friendly’ digital marketing campaigns are also planned. The ERBID Company serviced requests for 85,760 guides in 2017 a 16% increase on 2016 and evidence of the continued demand for quality Destination Guides. 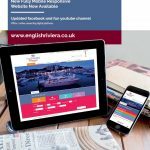 Supported by 145 advertisers for 2018 the ERBID Company have committed to the production of a new look 54 page English Riviera Destination Guide which will be available from January 2018. 100,000 copies will be printed. The 2018 Guide will be promoted nationally via a mix of online and offline Holiday Guide Request media platforms with fulfilment to households across the UK by post. Following the £50,000 investment in 2017 by the ERBID Company to launch a new fully mobile responsive website, the ERBID Company will continue to invest significantly in the ongoing management of the site and operation of the highly sophisticated CMS and DMS platforms to maximise the promotion of individual ERBID businesses. In particular investment will be made in ongoing professional Search Engine Optimisation (SEO) to ensure maximum exposure of the new website on Google. The new website platform has been commissioned from NewMind/tellus, worldwide Digital Destination Platform operators after a tendering process in Spring 2017. The new site focuses on the presentation of compelling and inspirational high quality full screen width images with more opportunities than ever before for individual ERBID businesses to showcase their own business. 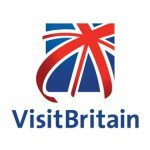 This is an excellent time for partners to check your pictures, descriptions and if appropriate, on-line availability, to maximise your attraction to an estimated one million visitors to the site in 2018, with the introduction of a new ‘commission free’ online accommodation booking platform using Guestlink available for 2018. Now in year two, and finishing on March 31st 2018 the final stage of the England’s Seafood Coast Project will include the development and launch of a new annual Food Festival to be called The Seafood FEAST a two week event starting on September 22nd. The programme will include ‘foodie’ related events across the resort offering ERBID Businesses the opportunity to take part free of charge. Increasingly the English Riviera is growing it’s reputation in terms of it’s quality Food and Drink offering with new restaurants, cafes, pubs and bars continuing to open and the England’s Seafood Coast Project raising worldwide awareness of our superb quality seafood and local fish. 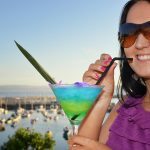 With this in mind the ERBID Company plans to invest in a series of new Food and Drink Visitor Guides with the first, English Riviera Pubs and Guides to be published early in 2018. This new publication will include (for free) all 130+ Bars and Pubs that are included in the ERBID. High quality inspirational and compelling images and videos are becoming increasingly important in promoting holiday destinations. The ERBID Company will continue to invest in increasing the number of ‘shared free images’ available to the ERBID Businesses to help them with their own promotions. In 2018 a new ERBID Image library will be launched ‘Riviera Photos’ and plans to make a new film focusing on Summer Family Fun (to complement the over 55 and under 35 adverts) is also planned. With the Business Plan objective to continue to raise awareness of the English Riviera in priority international markets including: Germany, Holland and the US the ERBID Company has ‘partnered’ with two major international Discover England Projects including ‘US Connections’ and ‘England’s Coast.’ The project will see the development of a series of new world-class bookable Visitor Experiences to include the English Riviera with the key objective to encourage overseas visitors to travel beyond London. 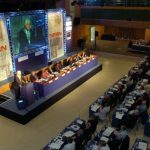 To continue to raise awareness of Torquay as a leading year-round South West Conference Centre working more closely with Conference English Riviera to maximise the Business Tourism Budget and ‘reach’ in attracting new conferences to the resort. The balance of the £569,325 is to be invested in a number of additional activities during 2018 including: PR, English Riviera Performance Monitor, Consumer E-Newsletters, Visitor information and membership to Visit Devon.